It is he now that is caught, swallowed like a letter in the post. For the brave old dame shuts her sack, so ; and she runs and empties it in the well, where the vagabond, still howling, tumbles in and is drowned. 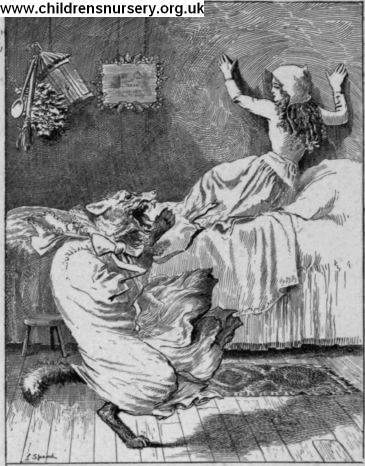 Thereupon the Grandmother hastened to dress poor Blanchette, who was still trembling with fear in the bed.